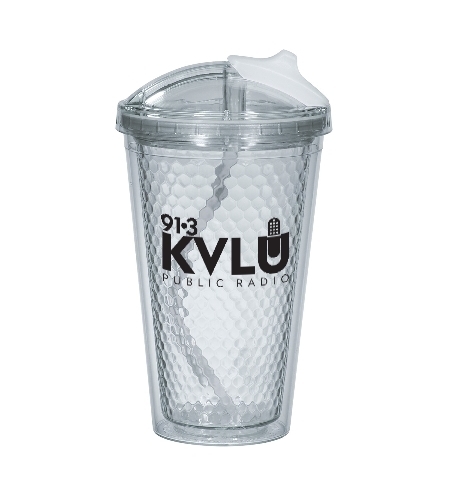 Thanks for helping to support KVLU! To view gift pictures and descriptions, scroll down the page to find your giving level. You may also receive any gift at a lower level. Gifts marked ONLINE ONLY are only available to those donating online. Premiums are not guaranteed to be in stock. Please check with the membership coordinator, as many items are very popular and clear the shelves fast. Thanks! 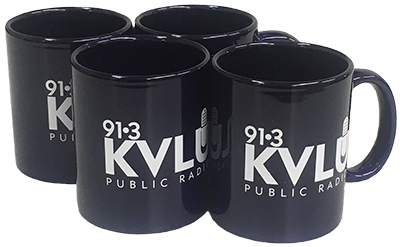 Classic KVLU and NPR premiums Grab Bag ranging from t-shirts and sweatshirts to mugs bearing the logos of campaigns past, sizes and quantities are limited. Please Specify. 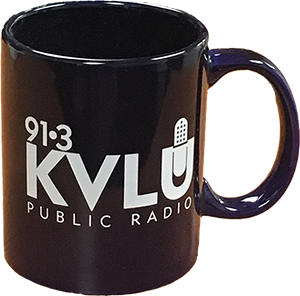 KVLU logo in white on cobalt 11oz ceramic mug meets FDA requirements, hand wash recommended. 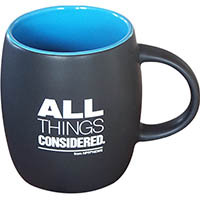 The All Things Considered logo imprints in white on both sides of this 14 oz single wall ceramic mug with black matte exterior and blue gloss interior. This 6 panel unconstructed 100% certified organic cotton cap features the Nerd and NPR logos. The black cap has a low profile and velcro closure. Perfect for the dog lover (or cat lover!) in you. 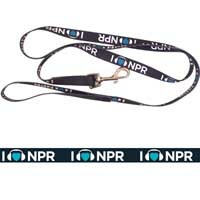 High-end ¾” nylon/polyester pet leash carries the dye-sublimated full-color “iheartNPR” imprint end-to-end. Beautiful. Durable. Functional. This porcelain tumbler mimics the "paper cup" profile. 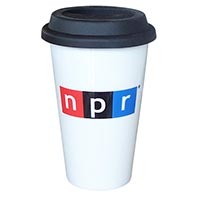 NPR’s 3-color logo (red, black, blue) is emblazoned on the double wall surface. Tumbler is 6″ tall, 3-7/8″ wide. Microwave-safe. Hand wash recommended. Eco-friendly gift box proclaims, 'Reduce, Reuse, Rehydrate'. 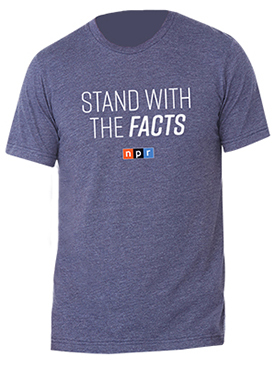 Stand with the Facts and Stand with NPR! This super graphic is printed on a heather mid-navy 4.2 oz. 100% combed and ringspun cotton canvas shirt, making it estremely comfrtable t-shirt with great quality. Natural recycled cotton tote imprinted on one side with the Public Radio Nerd logo. 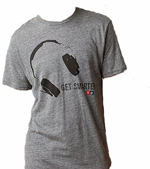 Proudly show off your inner nerd! Tote Features: 16" W x 15.5" H, 5" Gusset (Bottom), 10 ounce 00% recycled cotton, natural, 1" w x 9.5" L drop length handles, can hold more then a full grocery bag, machine wash cold, hand dry. 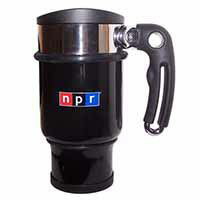 Two premiums in one: French Press + Travel Mug! 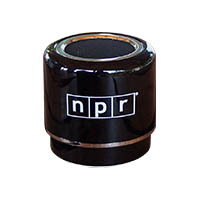 Carrying the 4-color signature logo of NPR against the sleek, black background, this premium has high perceived value to the public radio audience. 14 oz. “Double Shot” travel mug, constructed of double-wall, restaurant-grade stainless steel, is also a mobile French Press with patented plunger press and stainless steel mesh screen. Hand washing recommended. Do not use in microwave. A mini wireless high definition Bluetooth speaker comes in a convenient fabric carrying pouch and charging audio/I/O cord. Dynamic stereo sound when paired with handheld mobile devices. Enormous power in a compact, portable unit. It’s a Boombox-in-a-Thimble! NPR logo on one side in white. 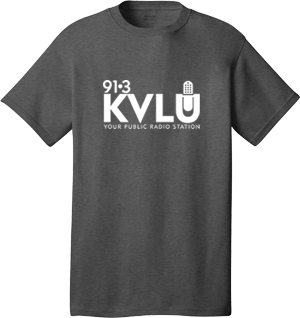 A great way to help KVLU and get your name or business’ name broadcast 8 times on a day of your choice.Sample Message: Today’s programming on 91.3 KVLU is made possible in part by the law firm of Smith and Smith. Proud to sponsor KVLU and looking forward to providing all of Southeast Texas with quality legal services. That’s the law firm of Smith and Smith located at 888 Anywhere Street in Beaumont.